5.9 Earthquake hits Jujuy, Argentina. Tropical cyclone (tc) 04p (Tuni), located approximately 231 nm south-southeast of Pago Pago, American Samoa, and is tracking southeastward at 06 knots. Florida, USA – For the 10th year running, Florida dodged a hurricane, setting a new record, while the rest of the eastern seaboard escaped a hit by a major hurricane. Today, in a renovated aircraft hanger in northern Paris, climate negotiators representing some 195 countries start to hammer out a new international climate deal. Their attention is focused on a 54-page draft document, produced in Bonn last month ahead of this summit. This key paper contains a forest of bracketed text which captures states’ competing aspirations. These differences have to be resolved over the next fortnight if a final climate deal is to appear. The new agreement will aim to hold average global warming below 2℃ above pre-industrial levels, although this goal is itself contentious. Such warming will lead to devastating longer-term impacts, is especially dangerous for least developed countries, and constitutes a death knell for low-lying island states which are arguing for 1.5℃ or less. Second, there is the matter of climate finance – meeting the costs of mitigation and adaptation, and loss and damage, for poor countries. In 2009, the Copenhagen conference was partly saved from collapse by the rich countries pledging to find US$100 billion each year, by 2020, for poor countries to build resilience against the impacts of global warming. A Green Climate Fund was created for this purpose. Last, there is the matter of legal form – the question about whether the final agreement will be a legally binding treaty, or an agreement with legal force, or some hybrid of these two. While this was a vital issue some years ago, there seems to be less interest in it now – perhaps in recognition that any attempt to create a binding agreement will likely have a chilling effect on the cooperation of big players such as the United States and China. The long shadow of the Copenhagen climate talks still falls across the Paris meeting. The failures in 2009 have already disciplined these negotiations, which are an attempt to finish the business of that earlier conference. Copenhagen was marked by stratospheric hopes and then profound disappointment. A flock of national leaders went to bask in the outcome of a tough, comprehensive, legally binding deal. The talks stalled and almost collapsed, only to be rescued by some deft drafting by the leaders of China, Brazil, India and the United States. The experience almost destroyed the climate treaty itself. Expectations have been greatly and deliberately lowered for Paris. The biggest shift has been away from the search for a rigid, legally binding treaty with “top-down” targets and solutions like those featured in the Kyoto Protocol. The outcome rescued from Copenhagen was an approach that is voluntarily cooperative, defined by a “bottom-up” approach in which countries determine their own targets, submitted to the conference but no longer dependent on an international legally binding agreement. A triumphant conclusion would be strong commitments to tighten targets, fund climate resilience, and decarbonise the global economy before 2050. With time running out and the planet’s carbon budget almost exhausted, this meeting is one of our final chances to tackle the extraordinary dangers of global warming. Zao (Honshu): Signs of unrest have been reported from the volcano. According to a news article, new episodes of volcanic tremor were detected under the volcano recently, believed to be signs of increased internal fluid movements. No volcanic earthquakes or significant deformation of the volcanic edifice have been recorded, that could suggest new magma rising, and currently, no eruption is expected to be likely in the near future. However, the volcano will now be observed with increased vigilance. Fuego (Guatemala): The activity at the volcano has been increasing since a few days ago. The effusion rate has risen significantly. Pulsating lava fountaining and strong, detonating strombolian explosions several hundred meters high from the summit vents are currently feeding at least 3 relatively large lava flows descending on the western and southern flanks: – through the Trinidad drainage (S): approx. 2400 m long, – through the Santa Teresa drainage (W): approx. 2000 m long, – through Las Lajas ravine (SW):approx. 1300 m long. 5.6 Earthquake hits the Owen Fracture Zone. 5.3 Earthquake hits Kepulauan Talaud, Indonesia. 5.2 Earthquake hits Java, Indonesia. 5.0 Earthquake hits central Turkey. Tropical cyclone (tc) 04p (Tuni), located approximately 132 nm south of Pago Pago, American Samoa, and is tracking southeastward at 13 knots. The Hawaii Department of Health continues to work with other state and county agencies on the issue of the Dengue Fever outbreak. As of Friday, the Department of Health had reported 107 confirmed cases originating on Hawaii Island. This is an increase of 6 cases from the previous update. These cases include 93 residents and 14 visitors. Because dengue fever is only transmitted by mosquitoes, the Department of Health is spraying and treating areas with high mosquito presence and confirmed cases. The Department of Health plans to conduct spraying in various areas of South Kona, Hilo, Puna, and Kau. PAHO/WHO has received notification of a laboratory-confirmed autochthonous case of Zika virus infection in Guatemala. The case, who is a resident of the Zacapa department, developed symptoms on 11 November. An investigation is being carried out to detect further cases. On 24 November, the National IHR Focal Point of El Salvador notified PAHO/WHO of 3 laboratory-confirmed autochthonous cases of Zika virus infection. The preliminary confirmation was provided by the national reference laboratory and has since been confirmed by the United States Centers for Disease Control and Prevention (CDC) in Fort Collins. Salvadoran health authorities are implementing the corresponding prevention and control activities. 6.0 Earthquake hits Antofagasta, Chile. 5.9 Earthquake hits the Kuril Islands. 5.0 Earthquake hits northwest of the Kuril Islands. 5.0 Earthquake hits offshore Antofagasta, Chile. 5.0 Earthquake hits Simeulue, Indonesia. Tropical Storm Sandra is located about 115 mi…180 km SSE of Cabo San Lucas Mexico with maximum sustained winds…40 mph…65 km/h. Present movement…N or 360 degrees at 2 mph…4 km/h. Tropical cyclone (tc) 04p (Tuni), located approximately 157 nm west of Pago Pago, American Samoa and is tracking east-southeastward at 11 knots. USA – At least three people have died in fast-moving floodwaters in Texas as freezing rain and flooding pummelled the state and other parts of the central U.S. on Friday, with forecasters warning that the chilling weather would worsen over the holiday weekend. Forecasters issued flash-flood watches and warnings from northern Texas up to St. Louis, with up to 4 inches of rain reported in some places as the storm slowly moved to the northeast. Freezing rain and strong winds have been blamed for several fatal accidents in Kansas and Texas since Thursday. Kenya – At least 4,040 families in Tana River county have been displaced by floods after River Tana burst its banks and flooded their homes. No casualties have been reported. Some victims said they have lost household property, food and livestock. There’s something strange happening in the world’s oceans due to an excess of carbon dioxide. Plankton is, apparently, growing rapidly in spite of scientific predictions. 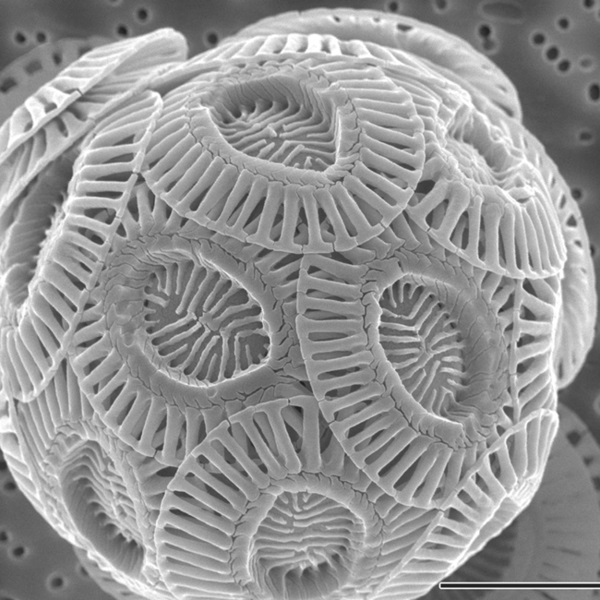 Scientists have long thought that the number of coccolithophores, which are chalk-shelled algae, would decline due to an excess of carbon dioxide. These single-shelled algae play a role in the cycling of calcium carbonate, a factor in atmospheric carbon dioxide levels. More specifically, researchers believed that more-acidic oceans would be the downfall of these organisms. In this latest study, though, the researchers analyzed the data from the Continuous Plankton Recorder survey from the North Atlantic Ocean and the North Sea since the mid-1960s. This revealed that carbon dioxide may actually be causing an increase in the population of coccolithophores. These algae make it more difficult to remove carbon dioxide from the atmosphere in the short term. However, in the long term, they help remove carbon dioxide from the atmospheres and confine it in the deep ocean. Earth underwent an unprecedented global ecological and climate shift late in the 1980s, which a new report says was triggered by a combination of manmade global warming and a powerful volcanic eruption. Researchers from the U.K. and Switzerland write in the journal Global Change Biology that they found the shift throughout nature, from the upper atmosphere to the depth of the oceans. The shift was manifest in atmospheric and ocean temperatures, the pH levels of rivers, the timing of land events, behaviour of plants and birds, wind speeds and the amount of ice and snow, according to the report. The study found that the shift appeared to have moved regionally around the world from west to east, starting with South America in 1984, then moving through North America in 1985, the North Atlantic in 1986, Europe in 1987 and Asia in 1988. The researchers say the shift was sparked by the 1982 eruption of Mexico’s El Chichón volcano, interacting with climate change to cause the biggest ecological change in 1 000 years. Nearly 90 homes have been destroyed or made uninhabitable by the deadly Pinery bushfire. Police said this afternoon that 87 homes had been completely destroyed or significantly damaged, rendering them uninhabitable. Nearly 100 vehicles and more than 380 farm sheds were destroyed in the blaze, as were 89 pieces of farm machinery. Earlier this afternoon the Country Fire Service announced the bushfire had officially become “contained”. The CFS warned, however, that there was still some active fire well within the control lines. The blaze has killed two people and five more are in hospital in a critical condition as fears remain that the death toll will rise. 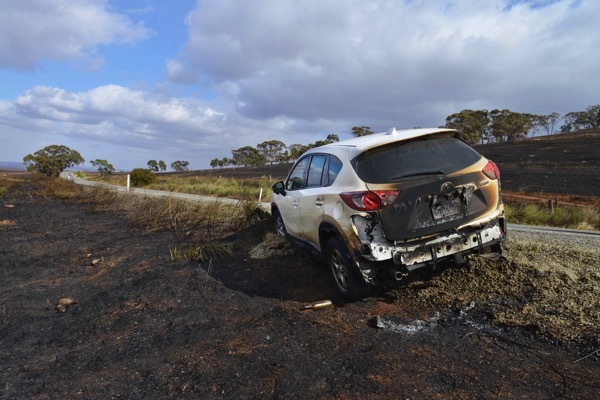 Roads are now open within the 82,600 hectare fire ground, but the CFS warns areas are still burning and flare-ups will continue to produce embers and smoke. Police have warned motorists to take care, because emergency crews are still working to remove fallen trees and power lines. 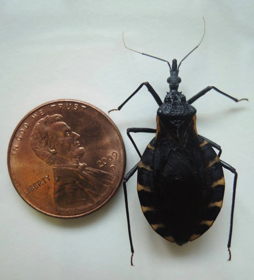 After recent reports of locally acquired Chagas disease in a dozen people in Texas, plus hundreds of dogs, the media has been flooded with hundreds of reports on the Triatomine bug, or kissing bug and the parasitic infection it can carry, Chagas disease. In July 2013, the Centres for Disease Control and Prevention said that 11 different triatomine species were found in at least 28 US states, although most cases diagnosed with Chagas contracted it outside the country. Batu Tara (Sunda Islands, Indonesia): We just returned from a 3-days expedition to the island during 23-26 Nov: the volcano’s activity was overall at similar levels as during the previous visits between 2012-June this year, but highly variable from day to day: Phases lasting several hours, or even few days, with mild, ash-rich strombolian eruptions at intervals between 10-30 minutes alternated / were interrupted by much more powerful vulcanian-type explosions that produced shock waves and ejected dense columns of tephra (ash, blocks and incandescent lava bombs) in a single, cannon-shot like explosion. They sent ballistics to several hundred meters of height all over the upper half of the volcano. During the first two observation days, these explosions occurred at intervals between 3-10 hours, but became the dominant type of activity during the last 24 hours of our stay, when they occurred at shorter intervals of 1-2 hours typically. Telica (Nicaragua): After its powerful explosion on 22 Nov, the volcano has mainly been calm, but weaker, sporadic ash emissions resumed during the past days. It is still thought that the recent activity is only caused by over-pressurized fluids in the upper conduit, and doesn’t involve new magma, but comparing with the past episodes of explosive activity in May and September this year, it is almost likely that new, potentially strong and very dangerous explosions (in particular if you climb the volcano) could follow in the near future with no or little warning. Copahue (Chile/Argentina): Small to moderately strong ash emissions and explosions have been near continuous during the past days, creating steam/ash plumes that rise up to approx. 1 km. Overall, the volcano’s activity seems to be gradually increasing. A larger landslide occurred yesterday from the eastern flank. Etna (Sicily, Italy): Since Nov 25 there is a change visible in Etna’s activity. Weak strombolian activity has started from the New SE crater. The activity probably started earlier today, but due to bad weather it was not observed before. Weak strombolian activity continues also from the vent inside the Voragine crater. Tremor remains low at the moment. 5.1 Earthquake hits the Peru-Brazil border.